4th and 5th Avenues So., between 39th and 46th Sts. Beginning with the New Deal in the Great Depression, the Federal Housing Administration and the Veterans Administration encouraged redlining and racial/ethnic covenants to enforce housing segregation. In Minneapolis, with cooperation among realtors, banks, and local governments, African-Americans were restricted to only a few neighborhoods, including the area centering around the corner of E. 38th St. and 4th Ave. So. Of nearly 10,000 single-family homes and duplexes built in Minneapolis between 1946 and 1952, fewer than 20 were sold to African-Americans. Jewish home builder Edward Tilsen and African-American realtor/philanthropist Archie Givens broke that mold. They created what was probably the nation’s first federally-supported residential housing development open to all races. 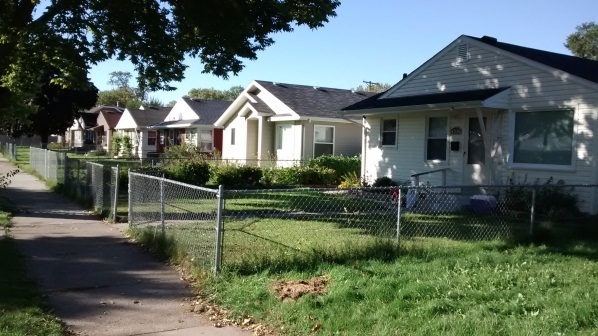 Between 1954 and 1956, with financing arranged by Givens, Tilsenbilt Homes, Inc. built 53 homes, many of which were located south of 42nd St. in a neighborhood that previously had been nearly all white. About 90% of those homes were sold to African-American or mixed-race buyers. 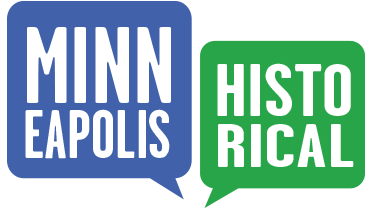 In 2017, the Minneapolis Heritage Preservation Commission designated the Tilsenbilt Home Historic District. Examples in the district include these addresses on 5th Ave. So. : 4004, 4012, 4016, 4021, 4025, 4028, and 4044. Archie Givens, Sr. (1919-1974) was a real estate developer and philanthropist. In addition to his work with Tilsen, Givens built the first integrated nursing home in Minnesota. In 1972, Givens and his wife, Phebe Mae Givens (1922-1915), funded the Archie Givens Sr. Collection of African-American Literature at the University of Minnesota. Edward Tilsen was born in Ukraine in 1891, immigrated to the US in 1906, and settled in Saint Paul in 1932. In 1947, Tilsen developed the first interracial commercial housing project in the US, a group of rowhouses at 990-1036 Carroll Avenue in Saint Paul. Tilsenbilt Homes, Inc. continues to build homes in Minnesota. Tilsenbilt Homes are privately owned. Deebaa Sirdar & Richard L. Kronick, “Tilsenbilt Homes Historic District,” Minneapolis Historical, accessed April 18, 2019, http://minneapolishistorical.org/items/show/174.